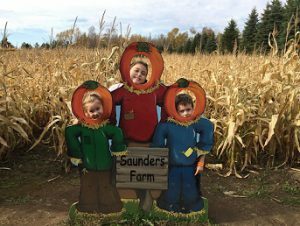 From September 22nd to October 31st 2018, it’s Haunting Season at Saunders Farm which has become a family tradition for tons of Ottawa families! The Haunted Hayride which is mildly scary, but if the kids (or parents) are nervous you can take the pumpkin patch hayride. Ghost Town Stage: every fall, the Saunders Farm team write and produce an original 30 minute hilarious Live Show on the Ghost Town Stage. Jumping Pillows. They are a big hit with visitors of all ages! Play Structures: Farmer Bill’s Barnyard Treehouse, Captain Aidan’s Pirate Ship, Train & Caboose, and our Monster Truck are all custom built and a big hit with younger children! 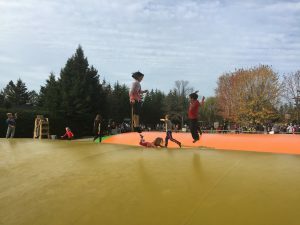 Witch Mountain is family friendly giant slide! It is recommended to spend 3 to 4 hours at the Farm to be able to take in, see and experience everything! 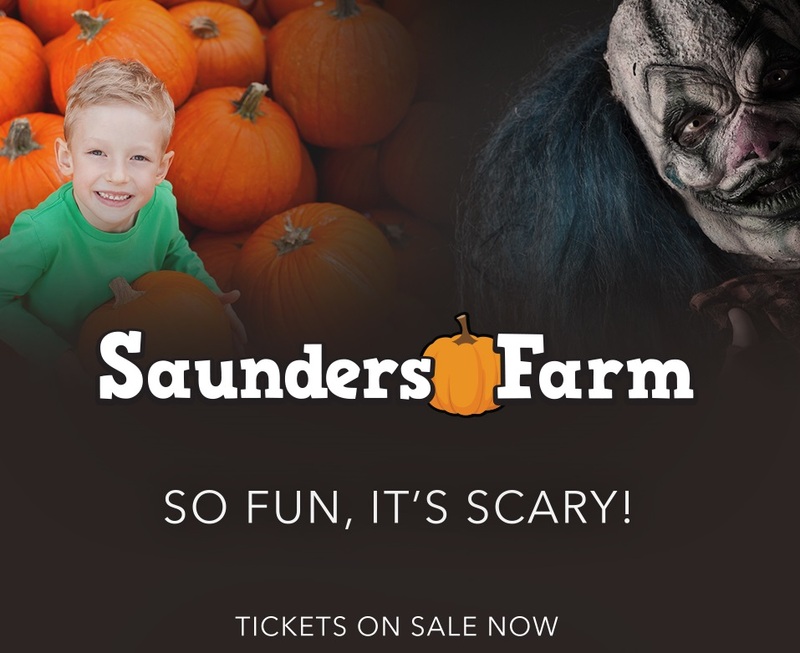 For more information or to purchase tickets, Saunders Farm official website.